Does the idea of going to the dentist make you cringe from anxiety? Do you feel panicky and short of breath when you get to the dentist’s office? At Vero Dental Spa, we offer a variety of techniques to combat dental fear for our patients. It is our mission to make patients feel comfortable and calm for every dental visit. One technique we use for treating dental anxiety is sedation dentistry. If you fear going to the dentist, you might benefit from sedation dentistry. 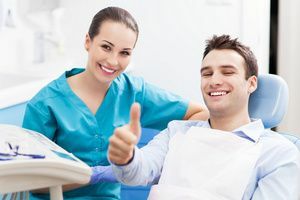 Sedation dentistry can also help patients with low pain tolerances, sensitive gag reflexes, and who need a lot of treatments done in one sitting. 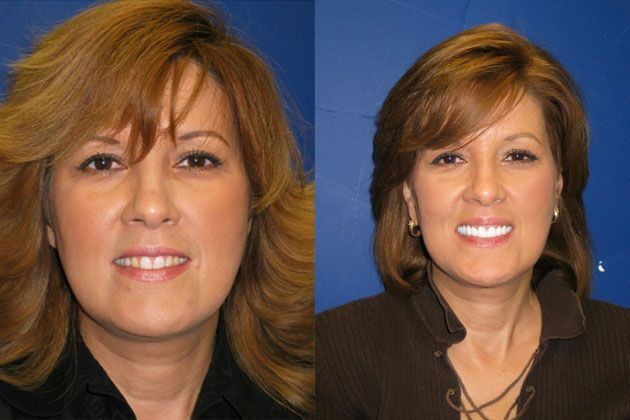 Sedation dentistry is the use of medicine to help patients relax during dental treatments. Sedation is used for simple teeth cleanings, cavity fillings, and more advanced treatments, like dental implants. Sedation dentistry allows patients to feel completely at-ease without pain or stress during their treatments. There are multiple levels and types of sedation that can be used, depending on the degree of anxiety and extent of the treatment. In mild sedation cases, you are awake but feel more relaxed. With moderate levels of sedation, sometimes referred to as “conscious sedation,” you will experience levels of drowsiness, in which you might slur your words and not fully remember the procedure. In dentistry, we use a variety of types of sedations to achieve mild to more intense sedative effects. During most cases, you can expect a totally relaxed state, where you will be able to speak and respond with the dentist, but will not remember much of the procedure. Patients tend to come out of sedation feeling calm. A lot of adults, children, seniors, and teenagers suffer from dental anxiety. Children with dental anxiety are more difficult to treat, since they are more likely to not cooperate during the dental visit and are not typically eligible for oral sedation. With that said, nitrous oxide is often used to safely treat children with dental anxiety. Sedation dentistry can help a variety of patients that need calming during their dental visits. Patients with general anxiety disorder, OCD, or other emotional disorders can benefit from the calming effects of sedation dentistry. Sedation dentistry can help patients with dental fear that are in need of oral surgery, like root canals, wisdom teeth removal, dental implants, and more. For patients requiring more advanced dental work and want to get it completed in one visit, sedation dentistry allows you to remain comfortable during all of the procedures without having to take breaks. You might also consider sedation dentistry, if you have a sensitive gag reflex, a hard time sitting still, a low pain threshold, or sensitive teeth. Sedation dentistry is generally safe, especially when it is administered by an experienced dentist. The biggest side-effect of some forms of sedation dentistry is that you need to avoid operating your vehicle after your treatment and should arrange to have someone drive you home. Amnesia - Sometimes patients will experience amnesic effects from oral sedatives, where they cannot remember much about the dental treatment. Most patients consider this advantageous, as they will not have to remember bad memories from the procedure. Dry mouth - A common side effect of oral sedation medication is dry mouth, since these medications decrease saliva production. Dry mouth will subside after the drug wears off and can actually make it easier for the dentist to perform some treatments. Hiccups - Few patients experience hiccups from oral sedation medication, but it usually only lasts a few minutes. No effects - Some patients, typically smokers or patients on other drugs, might not feel any anti-anxiety effects from oral sedation. Before beginning a treatment or requesting sedation, you should make sure we are fully aware of all of your medical history, especially a list of your allergies and current medications. At Vero Dental Spa, we understand that dental anxiety can cause patients to avoid treatments. If you are nervous about your next dental appointment or need extensive dental work completed, consider sedation. We offer a variety of relaxation techniques and sedation options, so you can relax throughout your entire appointment and leave with a smile on your face. We want to improve the quality of your life during your appointment and after your appointment. Schedule a consultation by calling us today at 772-778-5550.